Successfully Added Car Parametric Equalizer - USB + MP3 + iPod Compatibility to your Shopping Cart. If perfect sound equalization in your car is what you're after, then This Parametric Equalizer with USB and MP3 support is what you've been looking for. 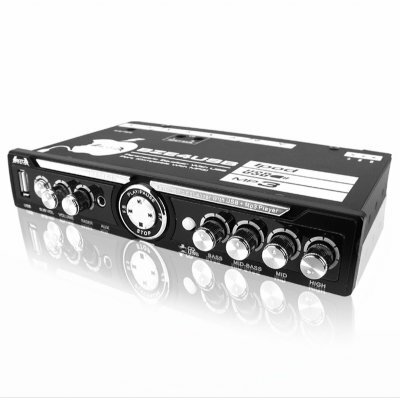 Providing you the opportunity to fine tune the sound quality from your car stereo over 4 bands and with support for most 4 speaker car stereo systems. This model is Ipod compatible with a minimal button design for easy control. For best results, be sure to let only certified car audio professionals install this for you. Contact us and find out about Chinavasions no MOQ policy and drop shipping direct to your door. If you wish to make comments or reviews about this product, please use the product review. Please open a inquiry.